Snail Games has released a new DX12 tech video, showcasing the differences between the DX12 and DX11 versions of King of Wushu. Powered by CRYENGINE and taking advantage of NVIDIA GameWorks, King of Wushu, promises highly refined dynamic animations and realistic looking gameplay. NVIDIA Gameworks features such as HairWorks and PhysX Clothing enhance the realism even further. Snail Games, the creator of renowned martial arts epic Age of Wushu, brings the world of martial arts adventure and kung fu masters to an all new gaming experience with its new 3D martial-arts based MOBA, King of Wushu. Taking advantage of the acclaimed CRYENGINE, King of Wushu will feature an immersive 3D world of vivid graphics in stunning detail, drawing on the uniquely stylized designs from Chinese tradition first made popular by the Age of Wushu studio tasked with the new project. With highly refined visuals and cutting age contact collision and motion capture animations, King of Wushu will bring a whole new level of intensity and exciting game play to the battle arena. Integrating features of MMORPGs with TPS control systems, King of Wushu’s heart-pumping and physics defying action aims to turn the MOBA genre on its head, creating an exciting adventure reflective of the cut-throat “Jianghu” martial arts underworld in which the game is set. 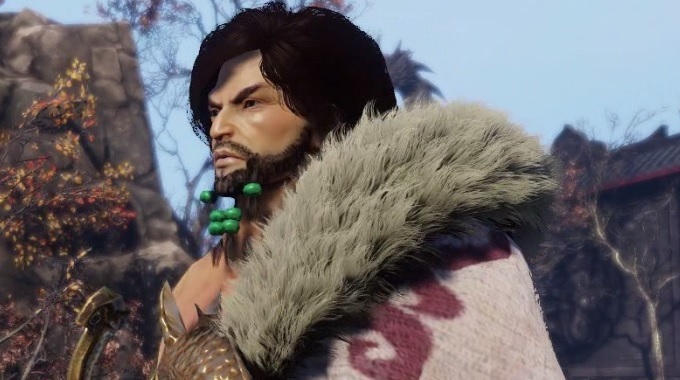 As King of Wushu moves further into development, the game aims to create a fully cross-platform martial arts community. In addition to PC, the game is pegged for Xbox One and PlayStation 4, with plans for growth in multiple platforms to connect players on integrated game servers in real-time cross-platform game play. King of Wushu is currently under development by Snail Games for the PC, PlayStation 4 and Xbox One. The game will be published by Snail Games, but there is no specific release date for the game yet. We will bring you any new information on DX12 projects and King of Wushu as soon as it becomes available.